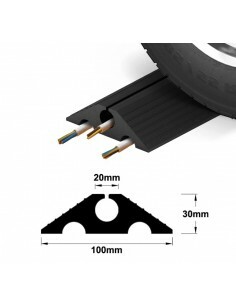 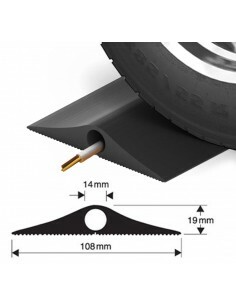 A heavy duty industrial cable protector profile for heavily trafficked areas. 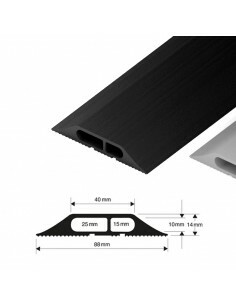 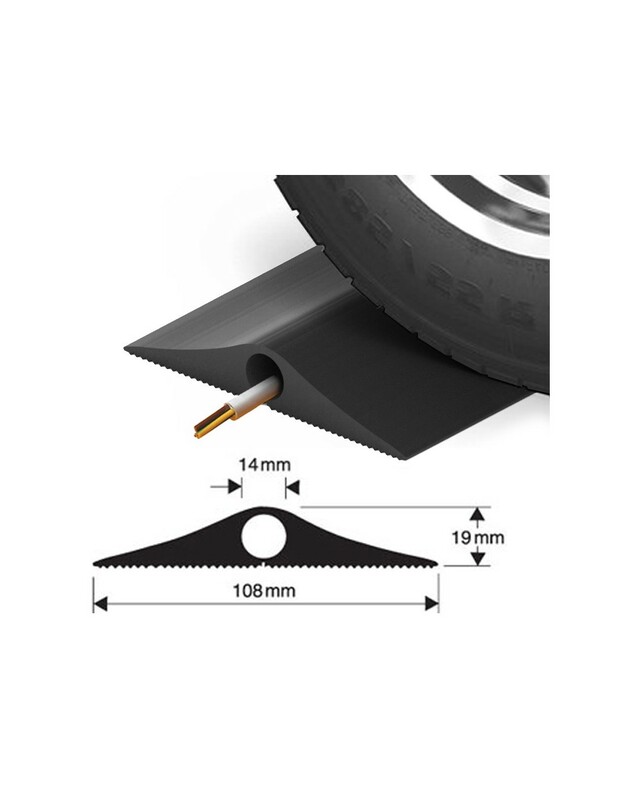 A heavy duty profile made from flexible UV stabilised PVC. 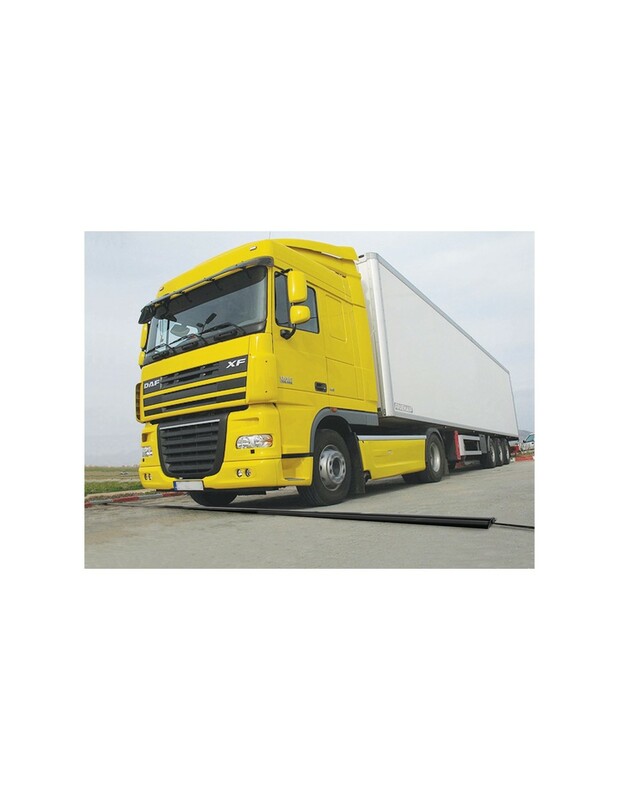 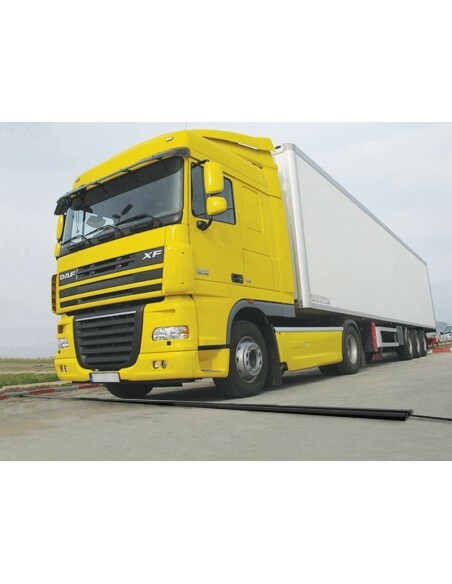 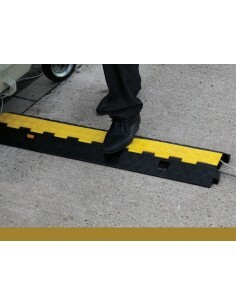 Capable of withstanding heavy vehicle traffic of all kinds including HGVs, forklifts and plant machinery. 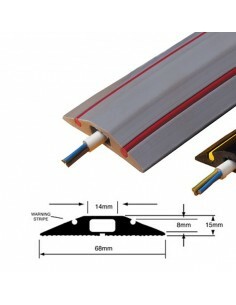 Designed specifically to cover high voltage power cables, it is tested to BS903-C5 for non-conductivity and fire retardant to BS476 part 7 class 3. 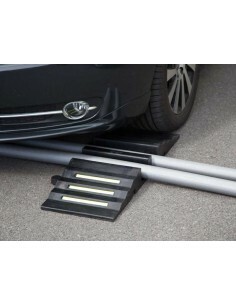 Fixing is not required as they have no tendency to move even under heavy traffic, but can still be easily repositioned to suit requirements. 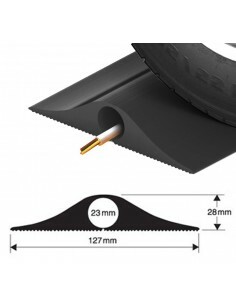 Hi, I only need 2m of this, is that possible (pro rata)? 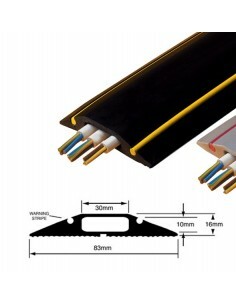 Hi, thank you for your enquiry though unfortunately this product is only supplied as a 9m length.